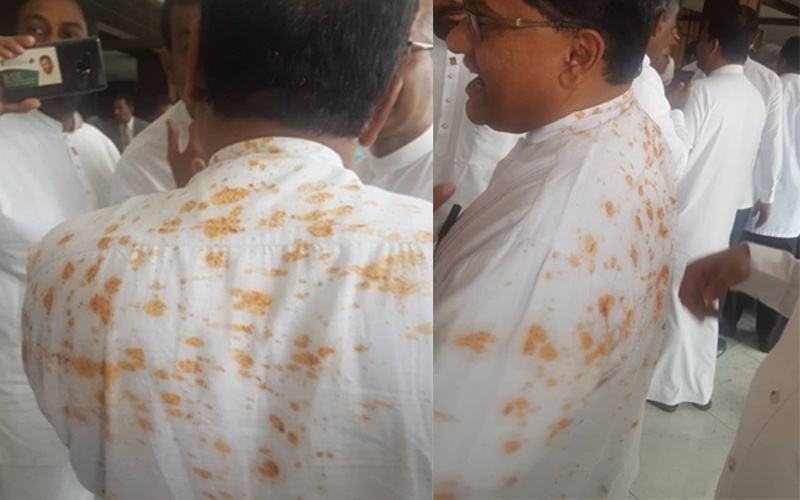 The Information Secretary of the JVP Comrade Vijitha Herath MP has been attacked by the Parliamentarians of the Mahinda faction in the Parliament chamber today (16th). When the Speaker who was not allowed to come to his seat to commence proceedings was accompanied by a posse of police personnel and members of Parliament security service, the Parliamentarians of the Mahinda faction obstructed the police, the Speaker and sergeant-at-arms with the maze obstructed them throwing chairs, bottles of water and other objects. Comrade Vijitha Herath was hit with an object which injured his forehead and lips and water mixed with chili powder was also thrown at him. He had to get medical attention at the infirmary at the parliament. Several Parliamentarians and police officers were injured in the melee.